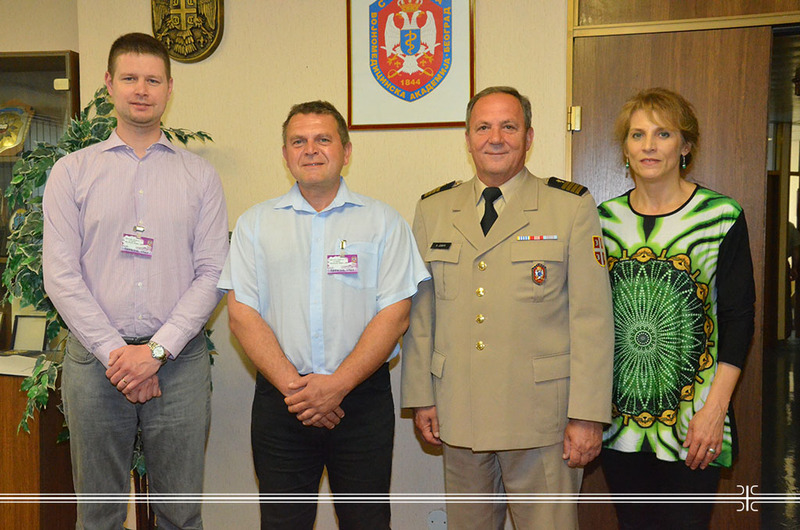 Delegation of the Hradec Kralove University from the Czech Republic visited the Medical Faculty of the Military Medical Academy (MMA) Defence University in Belgrade on May 16 2017. The meeting, which was led by the Dean of the Medical Faculty Col. prof. Dr. NebojsaJovic and his associates, the Czech delegation was acquainted with the capacities of this military medical and educational institution in the field of teaching and research activities, as well as with the possibilities of education and training at all three levels of academic studies in the Medical FacultyMMA. The conclusion of the meeting was that there are many areas of common interest for the educational and scientific research cooperation, which will be facilitated by signing a cooperation agreement between the two universities.